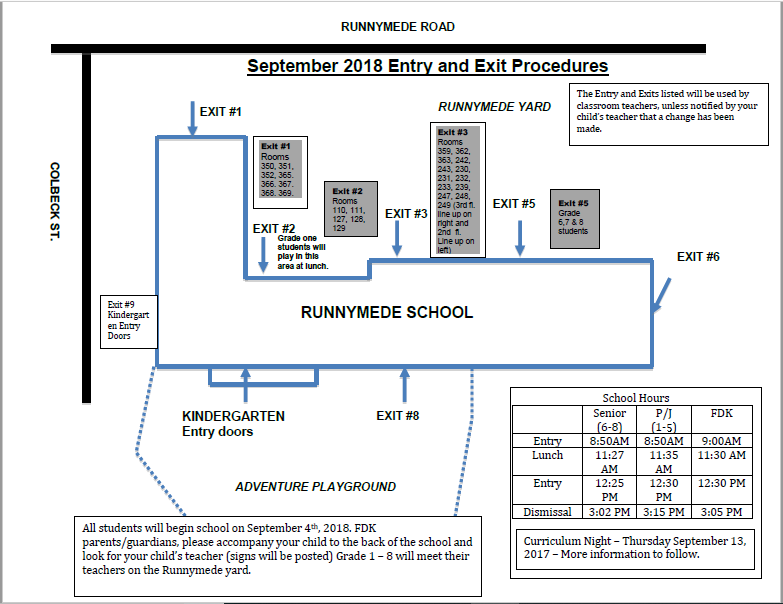 Entry during these hours will be through the buzzer system at the front doors on Runnymede Rd. (Exit #1) only. Click the image below to view the map with entry and exit times.